"Sony Tablet" yes.. Sony has not one.. but TWO! - Hello! Welcome to my blog! Well, well well, another big player in the tablet world. 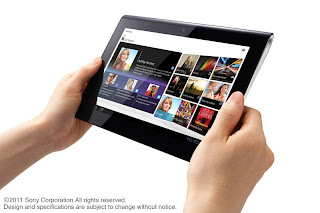 Just recently,(yesterday) Sony announced the "Sony Tablet". They say that it delivers the perfect combination of content, hardware and network with seamless usability for a high-quality, engaging entertainment experience. (pretty promising eh?) Basing on years and decades of engineering heritage, Sony is developing two tablets with unprecedented design, including ...S1 which is optimized for rich media entertainment and S2 which is ideal for mobile communication and entertainment. The design is captivating and fresh. It looks sleek and stylish don't you think? 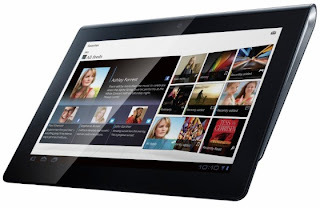 "Sony Tablet" will be equipped with the latest Android 3.0 which is designed for devices with larger screen sizes, particularly tablets. The S1 and S2 are WiFi and WAN (3G/4G) compatible. Not only can you browse the internet of check email but you can also smoothly access digital contents like videos, games and books! 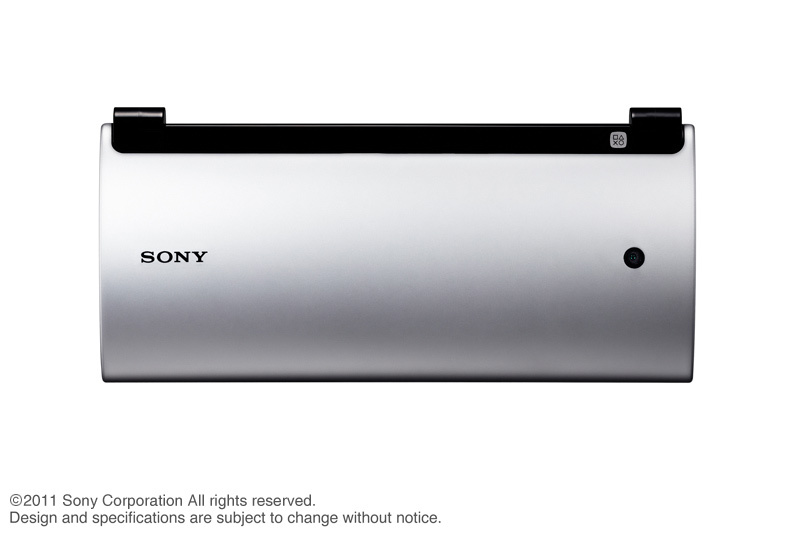 (soooooo cool) All through Sony's premium network services and more, on-the-go at any time. 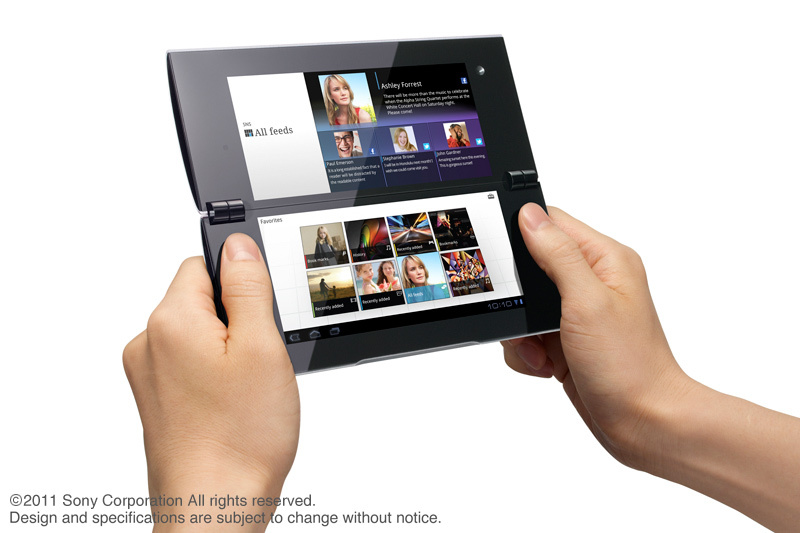 The "Sony tablet" will become available in the global market starting in fall 2011. check out the video below. The S1 has a 9.4 inch display compare to the S2's 5.5 inch display. The S1 display is for enjoying the web and rich content on a large screen. It's off-center of gravity design realizes stability and easy of grip as well as a sense of stability and lightness, offering comfortable use for hours. The S2's 5.5 inch display can be folded for easy portability. In contrast to existing tablets, it's unprecedented dual screen presentation and usability allows its displays to be combined and used as a large screen on for different functions such as playing video on one screen while showing control buttons on the other. All i can say is that it certainly looks promising. I am loving the design and concept of the S2. We still have to wait for the actual demo and the feel of it comparing to other tablets out there. 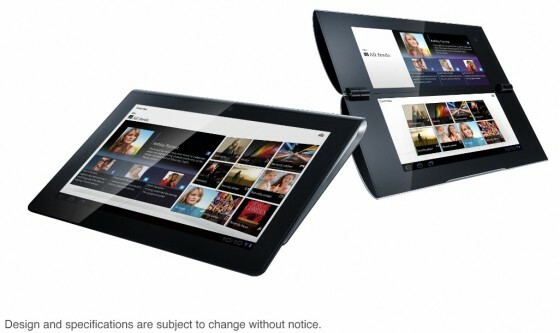 But with Sony's strategy, i think that they really are targeting specific market for these tablets. I am sure they would somehow come up with a very good inclusions and other add-ons to go with the cool hardware.